Savor Idaho is the area’s premiere gourmet food and wine festival, held every June in Boise, Idaho. You might not suspect Idaho as a top food and wine destination, but Idaho’s not all about potatoes anymore. We were invited by the Southwest Idaho Travel Association (SWITA) to see for ourselves that Boise – Idaho’s capital city – has grown into a true foodie destination, and we were not disappointed by the plethora of eating and drinking opportunities we found there. Our foodie weekend in Boise concluded at the 8th annual Savor Idaho, the area’s premiere food and wine event. The Idaho Grape Growers and Wine Producers Commission hosts the annual event, held on the beautiful grounds of the Idaho Botanical Gardens. Right around 900 tickets were sold to wine and food enthusiasts, who flooded the grounds, starting at 1pm for VIP ticket holders and 2pm for general admission. There were multiple tents set up on the grass, where vendors waited to offer sips of their latest vintages, alongside some pretty tasty bites from local restaurants. Watch our video of the event to see what makes it so fun! Not having been to Boise before, we were not sure what to expect from a local event like this, but Savor Idaho was exactly what we hope for in a food & wine event. It was perfect weather over the weekend – blue skies, 75 degrees and a slight breeze to cool everyone down as they made their way from tent to tent. The location was stunning, with the gardens in full bloom, and there was even a view of the historic Old Idaho Penitentiary (which is now a top tourist attraction in Boise). We’d had an opportunity the day before the event to try some of the Snake River Valley wineries in Garden City at the 44th Street Wineries location – Cinder Winery, Coiled Wines, Split Rail Winery, etc – and we were very happy with what we tasted, so we were excited to try more. To have the opportunity to try wines from over 30 different wineries, a handful of cideries and a brewery at the Savor Idaho event was exactly what we needed to get to know some of the characteristics of Idaho wine. Our favorites of the day ended up in a nicely packed shipping box that we checked on our flight home, which we don’t often do – so it’s pretty obvious we found some good wine in Idaho. Sawtooth Winery had a fantastic Petit Verdot that we fell in love with. Coiled Wines has a Syrah that is smoky and savory – just the way I like Syrah. Split Rail has a Cabernet blend that is bold and delicious… I could go on. Sawtooth Winery’s Petit Verdot stole the show! Another of our favorites was something a bit different from Potter Wines. They make a Jalapeno white wine that is fermented with the jalapeno to give it an authentic spicy, green pepper flavor. But it isn’t overwhelming. The cool part is that they mixed it with lemonade to make jalapeno wine lemonade in a pouch. Couldn’t pass that up! Potter Wine’s Jalapeno wine lemonade in a convenient pouch. We were able to try a dozen or so bites of food from area restaurants. I was excited to see Jakers there, because I used to go to a Jakers in Missoula during college. They didn’t disappoint either – their crab stuffed mushroom was one of my favorite things of the day. We also loved the super-crunchy Korean tri tip wonton tacos from Kanak Attack Katering, the steak bites from Crossings Winery, the double creme gorgonzola from Litehouse, and the meatballs in marinara sauce from Angell’s Bar & Grill. Idaho Preferred had a bunch of little snacks, including this amazing sweet potato chip dipped in chocolate, served with bacon and cherry jam, along with a couple cherries. If we could have taken home a whole box of those local cherries, we would have! We were lucky to have the extra hour of early admission with our VIP press ticket, and as the first hour quickly passed, we were worried about the influx of people, thinking the lines might get too long and the tents too crowded, but that wasn’t the case. There were a few bottleneck areas, but there was plenty of room to move around, to talk to the winemakers at their tables, and to find a seat for a few moments to enjoy the food and wine. We also appreciated that they were selling the wines there. We wouldn’t be able to get most of the wines at home in Seattle, so it was nice to grab a few of our favorite bottles there to take home with us. Usually at events like this they aren’t selling, and it’s hard to remember which ones you liked later on. Having attended many food & wine festivals, most in much larger cities than Boise, we can honestly say Savor Idaho really delivered. It was just as fun as other events we’ve been to. There was just the right amount of vendors to keep us busy for the 3-4 hours of the event without feeling rushed or bored. We would have liked to see a few more breweries participate, since there are a ton of great breweries in the area, but it is a wine event, after all. Bottom line, if you’re into food and wine events, like we are, and you’re looking for a fun one to attend, we highly recommend Savor Idaho! We think you’ll also enjoy Boise’s downtown food scene while you’re there! 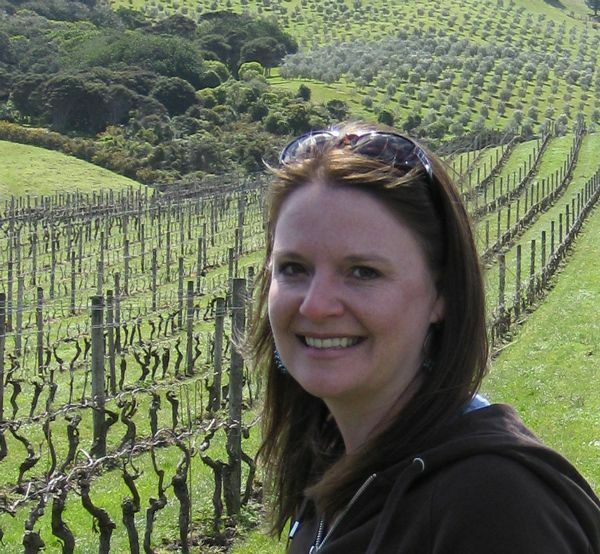 This entry was posted in Wine and tagged Boise, events, food, Idaho, wine. Thanks Crystal! We had such a fantastic time. And we definitely loved that Jalepeno wine lemonade! Can’t wait to drink it on a hot day in Seattle. Jalapeno wine lemonade in a convenient pouch, I need this in my life. Wonder if it is something I can order? Really looks like an awesome event, but any event that focuses on food and wine is my idea of FUN! I love food and wine festivals and this one looks great! Not sure about the jalapeno wine lemonade though! That crab stuffed mushroom… nom! I hope to do some food and wine tours this year as well. I love food festivals and this looks wonderful. I would have loved to try that jalapeno wine, sounds really interesting especially with that crab mushroom – give me two of those please! It’s great when the event over delivers and exceeds your expectations. Looks awesome! Food festivals are the best. I love alternative food destinations, so this was a really fun read for me! I’m not going to lie – I automatically think about potatoes when I think about Idaho, so I learned a lot! The wonton tacos sound sooo good! This definitely looks like a good one to go to, lucky you! A crab stubbed mushroom sounds incredible. What an interesting combination for the Jalepeno Wine Lemonade. I would love to hear more about how it was created, sounds really original. Sounds like the perfect day and I like the idea of jalalapeno lemonade!